AV College Classic: Does Your Alma Mater, Matter? It takes the top leaders– digital signage and AV providers, and top universities– to map out the challenges and solutions for today’s college campuses, and show best practices. 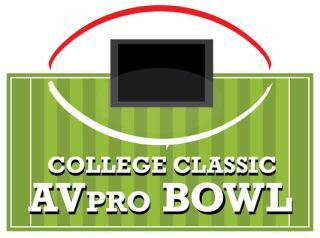 But time is running out to take part in this major industry platform– the College Classic AVpro Bowl. But don’t panic yet– in the spirit of college life, we’re giving all our readers an opportunity to ace this. We want to know what the best and brightest on college campuses are doing with technology: not just digital signage, but AV and AV/IT integration. Send us 500-700 words on what your college alma mater is doing with technology– in the classroom, in public buildings, or in school sports facilities. OK, if you haven’t been on your old campus since your checkered college career ended some years back– then send us info on a campus technology project you’ve been recently involved in– but it better be good! And no recycling last year's material– tell us what's innovative in the design/installation, from the perspective of students/faculty/staff, in today's university environment. Photos get extra points. Send us your stuff by October 7th, 2015– or just sit in the stands and then explain to your spouse, your boss, and the school why you were snoozing while the other teams aced it.